Home Spectors has been featured on Radio "Triad Real Estate 911" and TV "The American Dream Today"
WE ARE HIRING!!! Home Spectors is looking for NC licensed home inspectors to fill immediate openings. Up to 5k signing bonus for well qualified inspectors. Also, we are acquiring home inspection companies. If you are interested in joining a great team or selling your current company please contact us. Benefits of choosing Home Spectors. RecallChek report of the homes appliances is included with each inspection. 90 day warranty of the homes mechanical and structural components. Platinum Roof Warranty to cover your roof from leaks for a full 5 years. If mold is found in the home and wasn't found during the home inspection, you are covered for remediation. Underground supply and sewer line coverage by SewerGard with every home inspection. Take the stress out of moving with this one call utility setup service. A quick video discussing the aforementioned services included for free with each home inspection. We take pride in not only providing great home inspections but also value by including these products. 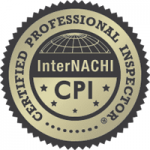 Our inspectors are licensed and or certified for nearly every type of inspection needed during the home buying process. 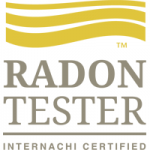 Our services include but are not limited to home inspection, termite inspection (WDIR), radon testing, mold testing, and water testing. 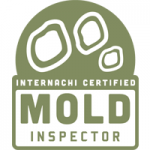 Our inspectors are Certified Inspection Expert(s) and also include Certified Master Inspector(s) which is the highest national certification. The average home inspection company performs less than 150 inspections a year. We are a professional company performing inspections numbering in the thousands. These guys were very professional and very thorough. Being as nit-picky as I am about things, I felt 100% at ease with them and I'm beyond grateful for their level of service. Would recommend Home Spectors to anyone! Thanks for everything! Just met Jason and his team for the first time yesterday, and I could not have been happier with the service he provided! His attention to detail and voluntary, but very valuable insight, proves he truly cares about his clientele. I will definitely use him in the future and recommend him to everyone looking for a thorough home inspector! What a great experience. The inspection was completed in a thorough and efficient manner. It was obvious both gentleman were knowledgeable and have the rare ability to put a buyers mind at ease. As an agent it's a comfort to find inspectors able to convey findings in an honest and direct way. The gentleman were very thorough, polite, and professional. They offered to be available to explain the report if I had questions. I would definitely recommend this company. They do a fantastic job of explaining their findings to clients. Would highly recommend.